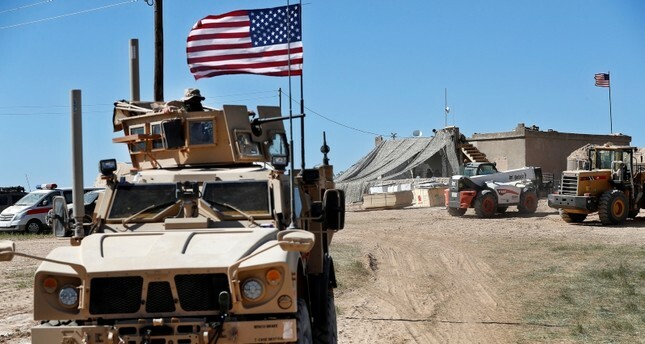 The United States will set up observation points in northern Syria to address Turkey's concerns over the U.S.' relationships with the PKK-affiliated People's Protection Units (YPG) terrorist group, Defense Secretary James Mattis said Wednesday. Turkey has "legitimate" concerns about terror threats in Syria and the U.S. does not dismiss any of its concerns, he told reporters at the Pentagon. "We are putting in OPs (observation posts) up in northern Syria, this is a change now. We are putting in observation posts in several locations up along the Syria border," Mattis said. "We want to be the people to call the Turks and warn them if we see something coming out of an area that we're operating in." The U.S. is consulting "closely" with the Turkish military and the State Department, the defense chief said. "We are going to track any threat that we can spot going up into Turkey. That means we will be talking to Turkey's military across the border," added Mattis. Ankara has long told Washington that the YPG is no different from the PKK, and partnering with one terrorist group to fight another is unacceptable. YPG is the Syrian wing of PKK terrorist group but the U.S. does not recognize it as such, U.S. Special Representative for Syria James Jeffrey also confessed recently.